News from the automotive world. Kia Motors will have a Super Bowl commercial called "Iceberg" featuring the NiroBot for Messenger, an chat experience that includes guided vehicle discovery, expansive technical knowledge, step-by-step tutorials and test drive scheduling. 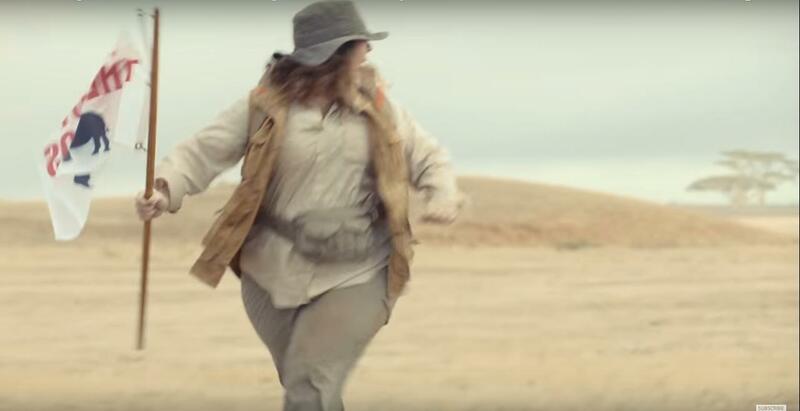 Actress Melissa McCarthy is the centerpiece of a multi-faceted marketing campaign for the all-new 2017 Niro crossover. 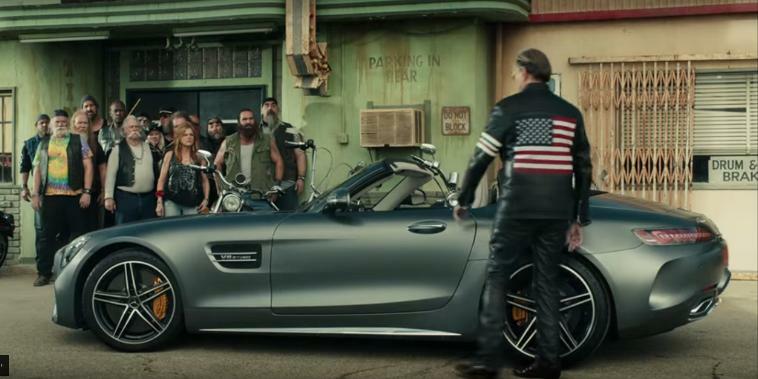 Mercedes-AMG GT C Roadster with actor Peter Fonda and the music of Steppenwolf's "Born to Be Wild," is featured in Mercedes-Benz "Easy Driver," commercial which will appear in the fourth quarter of the Feb. 5th game commemorating the 50th anniversary of the Mercedes-Benz performance sub-brand AMG. The comical spot is directed by the Academy-Award-winning Coen Brothers, Joel and Ethan, known for writing and/or directing many films including Fargo, The Big Lebowski, The Ladykillers, No Country for Old Men, Inside Llewyn Davis, Unbroken, Bridge of Spies. The 2018 BMW 4 Series, Coupe, Convertible and Gran Coupe, have a 248 horsepower twin-turbo engine on the 430i and a 320 horsepower for the top-of-the-line 440i, mated to the eight-speed Steptronic Sport Automatic transmission or an available six-speed manual transmission on the BMW 4 Series Coupe (430i, 440i, and 440i xDrive). The new BMW 4 Series Coupe and new BMW 4 Series Gran Coupe both now come with stiffer suspension featuring more advanced damping technology, an upgraded steering set-up and a lower center of gravity than the BMW 3 Series. The BMW M4 Coupe and BMW M4 Convertible will have a 425 horsepower six-cylinder engine with M TwinPower Turbo technology. The 2018 BMW 4 Series will be available as 430i, 440i xDrive models starting this March and pricing will be announced closer to the vehicle launch. The new 2017 Nissan Rogue Hybrid, offered in SV and SL grade levels and with one option package and available in both FWD and AWD, starts at $27,180 (including $940 destination and handling), $1,000 above a non-hybrid Rogue SV front-wheel drive model. The new Rogue Hybrid produces estimated fuel economy of 33 mpg city, 35 mpg highway and 34 mpg combined for the front-wheel drive model with all-wheel drive models estimated at 31 mpg city, 34 mpg highway and 33 mpg combined. The Rogue Hybrid combines a 141 horsepower 2.0-liter 16-valve DOHC aluminum-alloy inline 4-cylinder engine and a compact lithium-ion battery with a 40 horsepower electric motor, two-clutch control for a system net 176 horsepower. Rogue Hybrid is on sale now in 18 West, Northwest and Mountain states and goes on sale nationwide this Spring. The 2017 Audi R8 V10 Spyder, with its naturally-aspirated 540 horsepower 5.2-liter V10 engine mated to a seven-speed S-tronic® dual-clutch transmission that enables a 0-60 mph time of 3.5 seconds to a top speed of 198 mph, has a light 97 pound cloth roof that opens or closes in 20 seconds at speeds of up to 31 mph. The Audi R8 V10 Spyder has newly developed ASF® aluminum and carbon fiber construction that makes it more than 50 percent stiffer than its predecessor. The second generation R8 V10 Spyder features a quattro® system that by default delivers the majority of torque to the rear wheels, but under certain driving conditions can send up to 100 percent of all available torque to the front axle. The Audi R8 V10 Spyder with a fully digital Audi virtual cockpit starts at $176,350 (including $1,250 destination charge). The all-new 2017 Niro crossover hybrid, offered in FE, LX, EX, Touring and limited-production Launch Edition trim levels, starts at $23,785 for the FE and runs up to $30,545 for the top-of-the-line Touring model (including $895 destination charges). Three option packages are available. The all-new 2017 Kia Niro crossover, with fuel economy of up to 50 miles per gallon, will be featured in Kia's Super Bowl commercial airing in the third quarter of the game and stars Melissa McCarthy. Click here to view a 15-second teaser of the spot. 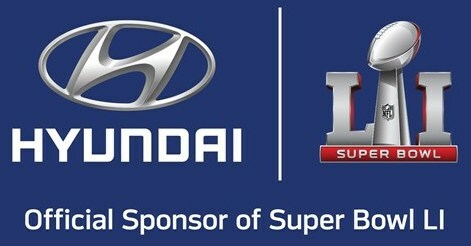 Hyundai, the official car and SUV of the NFL, will film a 90-second documentary during Super Bowl LI and will run it in the first commercial break after the game ends and just before the trophy ceremony. Director Peter Berg (Patriots Day, Deepwater Horizon, Lone Survivor, among many others) will shoot, edit and produce the 90-second documentary in real time. 2017 will mark the ninth time in the last 10 years that Hyundai has participated in the game. 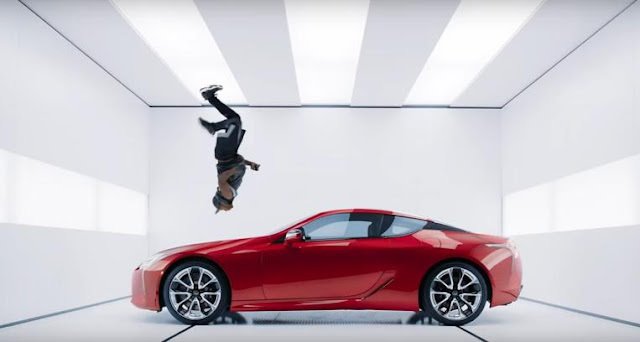 “Man & Machine,” a 60-second Super Bowl spot features the Lexus LC 500 and LC 500h coupes with movement artist Lil Buck and music from recording artist Sia. A 30-second version of “Man & Machine” that also includes the all-new LS 500 will air during the second quarter of Super Bowl LI on Sunday, Feb. 5 with the New England Patriots going against the Atlanta Falcons in Houston. The new 2018 Ford Mustang convertible, like the hardtop, has a 12-inch all-digital instrument cluster that can be customized, MyMode with memory function, Pre-Collision Assist with Pedestrian Detection for greater confidence behind the wheel and is powered by either a 2.3-liter EcoBoost® engine or 5.0-liter V8 (for the GT pictured above) with an all-new available 10-speed automatic transmission and MagneRide suspension. The convertible is likely coming this Fall with the new hardtop coupe. The new 2018 Ford Mustang has a new front and rear-end design, and a host of new features including a 12-inch all-digital instrument cluster that can be customized, MyMode memory function that remembers your driving preferences, new MagneRide™ suspension technology and Pre-Collision Assist with Pedestrian Detection. The new Mustang is powered by a 2.3-liter EcoBoost four-cylinder engine or a reworked 5.0-liter V8 engine for the Mustang GT (pictured above) and both models offer manual or all-new available 10-speed automatic transmissions. Ford SYNC® Connect with FordPass™ is available on Mustang for the first time. The new Mustang goes on sale in North America this Fall. 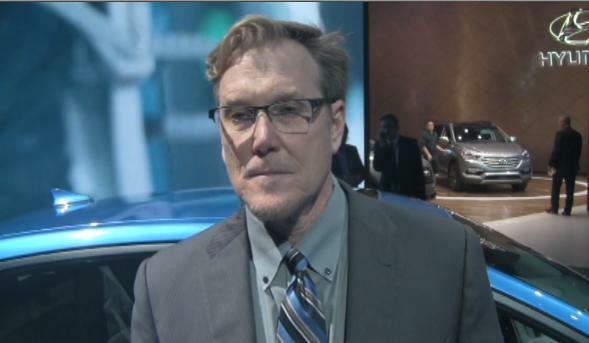 Hyundai Motor America Product PR Manager Derek Joyce explains Hyundai “Ioniq Unlimited” electric vehicle subscription-based ownership for the zero-emission, eco-focused 2017 Ioniq Electric which begins in California in early this year. The Nissan Vmotion 2.0 concept offers hints at the future of "Nissan Intelligent Mobility," the company's roadmap to achieve zero emissions and zero fatalities. The Audi Q8 concept, on a 9.8 foot wheelbase, is the basis for a production plug-in hybrid model that Audi will launch on the market in 2018. The Audi Q8 concept uses a 3.0 TFSI producing 333 horsepower combined with an electric motor that generates total system output of 443 horsepower integrated into the eight-speed tiptronic transmission. The all-new Lexus LC 500, a new flagship 2+2 performance coupe powered by 471 horsepower 5.0-liter V8, matched with a direct shift 10-speed automatic transmission will have a starting MSRP of $92,975 (including delivery, processing and handling fee of $975). The LC 500h, powered by 354 horsepower 3.5-liter, V6 full hybrid powertrain will have a starting MSRP of $97,485. They arrive at dealerships this May. The eighth-generation 2018 Toyota Camry sedan, on a two inch longer wheelbase and available in LE, XLE, SE and XSE trims, has a new 3.5-liter V6 with D-4S Fuel Injection and an all-new 2.5-liter inline-4 gasoline engine, which comes paired to a new 8-speed Direct-Shift automatic transmission and a next-generation Toyota Hybrid System (THS II). All 2018 Camry’s have 10 standard airbags and Enhanced Vehicle Stability Control, Traction Control, Electronic Brake-force Distribution, Brake Assist, Anti-lock Braking System, and Smart Stop Technology®. All Camry’s also come equipped with a standard backup camera. The new 2018 Honda Odyssey minivan will be powered by a 280 horsepower 3.5-liter, direct-injected i-VTEC™ V-6 engine with Variable Cylinder Management™ connected to a 9-speed automatic and, for upper grades an all-new, 10-speed automatic transmission when it launches at dealerships nationwide this Spring. New features include a Magic Slide™ second-row seat and CabinWatch which, using a camera, lets the driver and front passenger keep tabs on passengers both day and night via the 8-inch Display Audio screen while CabinTalk enables the driver to talk to second and third-row passengers through speakers and rear entertainment system headphones. A new hands-free power tailgate with foot activation is available. The all-new, fifth-generation 2018 Lexus LS flagship sedan, on a 123-inch wheelbase is 1.3-inch longer, lower and more than 200 pounds lighter than the current LS long-wheelbase model, and is powered by an all-new 415 horsepower 3.5-liter V6 engine with all-new twin turbos matched to a 10-speed automatic transmission. The 2018 Lexus LS goes on sale in U.S. near the end of this year. The all-new Audi SQ5, second-generation SQ5, offers a 354 horsepower 3.0-liter TFSI® engine mated to eight-speed tiptronic® transmission and arrives this Spring. The available S sport package has a sport adaptive air suspension, which lowers vehicle height by 30 mm (when in auto mode) compared to the standard adaptive suspension. The all-new 2018 Chevrolet Traverse, with available seating for up to eight and a longer wheelbase than the current model, will have a new 3.6L V-6 and nine-speed automatic transmission that's expected to offer nearly 10 percent more horsepower delivering a GM-estimated 25 mpg highway (FWD) with an estimated 5,000-pound trailering capacity when properly equipped. The all-new 2018 Chevrolet Traverse goes on sale this Fall with two new trim levels, the RS with a 2.0L turbocharged engine and the High Country. The newly redesigned 2018 Mercedes-Benz GLA250 is powered by a 208 horsepower 2.0L inline-4 turbo engine mated to a 7-speed DCT dual-clutch transmission and the new Mercedes-AMG GLA45 has a 375 horsepower AMG 2.0-liter four-cylinder turbo engine tied to the AMG SPEEDSHIFT DCT 7-speed sport transmission with a zero to 60 mph time of 4.3 seconds. The refreshed 2018 GLA will go on sale in the U.S. this summer. The all-new 2018 GMC Terrain has a choice of a new 1.5L and 2.0L turbocharged gas engines matched with new nine-speed automatic transmissions and an all-new 1.6L turbo-diesel. The 2018 Terrain goes on sale this summer in SL, SLE, SLT and Denali models. The all-new 2018 Volkswagen Tiguan, powered by a 184 horsepower 2.0-liter turbocharged and direct injection TSI® engine mated to an eight-speed automatic transmission, is 185.2 inches long, making it 10.7 inches longer than the current version to accommodate an optional third row and it has up to 57 percent more cargo capacity. The Tiguan is either front wheel drive or has an optional 4Motion with Active Control all-wheel-drive. The all-new 2018 Kia Stinger five-passenger fastback sports sedan will offer a standard estimated 255 horsepower 2.0-liter turbocharged four-cylinder Theta II engine or an available 365 horsepower 3.3-liter twin-turbo V6 Lambda II engine with an expected 5.1 second zero to 62 mph time to a top speed of 167 mph. The Stinger features a second-generation eight-speed rear-drive automatic transmission. The Stinger is planned to go on sale in the U.S. late this year. The new 2018 Ford F-150, with new front and rear styling in XL to top-of-the-line Limited trim levels, offers an all-new 3.0-liter Power Stroke® V6 turbo diesel, an all-new standard 282 horsepower 3.3-liter V6, an all-new second-generation 2.7-liter EcoBoost engine paired to a 10-speed automatic transmission, and a 5.0-liter V8 also paired with the 10-speed automatic transmission for the first time. The new 2018 F-150 goes on sale this Fall. The 2018 Genesis G80 model, with a new 365 horsepower 3.3-liter turbocharged V6 engine paired with a sport-tuned eight-speed automatic transmission, will have a Sport trim featuring 19-inch wheels, carbon fiber interior trim, leather sport seats and steering wheel along with Automatic Emergency Braking with Pedestrian Detection, Driver Attention Alert and a multi-view camera. The 2018 Genesis G80 is scheduled to arrive this Spring, and the 2017 Genesis G90 is available now at Genesis retailers. The all-new 2018 Audi A5 Cabriolet comes equipped with a 252 horsepower 2.0-liter four-cylinder engine mated to a seven-speed S tronic® dual-clutch automatic transmission and sprints from 0-60 mph in 6.0 seconds. The 2018 Audi S5 Cabriolet is equipped with a re-engineered 354 horsepower 3.0-liter TFSI® V6 engine mated to a newly equipped with an eight-speed Tiptronic® automatic transmission and sprints from 0-60 mph in 4.8 seconds. The A5 and S5 Cabriolet feature standard-equipped with quattro® all-wheel drive and a fully electronic top that can be lowered using the new one-touch opening function, in just 15 seconds, at speeds of up to 31 mph. The 2018 Subaru WRX with a 268 horsepower 2.0-liter direct injection turbocharged BOXER engine, Symmetrical All Wheel Drive and Active Torque Vectoring comes standard with a 6-speed manual transmission and offers an optional performance automatic transmission, the Sport Lineartronic® CVT with manual mode. The WRX STI is powered by a 305 horsepower 2.5-liter turbocharged BOXER engine with Multi-Mode Driver Controlled Center Differential Symmetrical All-Wheel Drive. Both have a restyled front fascia, a more pronounced grille design, along with a larger lower grille opening and new roof rack mounting brackets and will reach Subaru retailers this Spring. The 2018 Volvo V90, with both T5 FWD and T6 AWD powertrains in either Inscription or R-Design trim, is coming to the United States this Summer. General Motors (Chevrolet, Buick, GMC, Cadillac) total U.S. sales in December were 319,108, up 10 percent from last year. General Motors 2016 sales of 3,042,775 is down 1.3 percent from 2015. Ford Motor Company’s total December U.S. sales of 239,854 vehicles were up 0.3 percent. 2016 U.S. sales of 2,614,697 vehicles mark Ford Motor Company’s best annual sales in a decade. Toyota Motor Sales, U.S.A. reported December 2016 sales of 243,229 vehicles, an increase of 2.0 percent from December 2015. For the year, TMS reported sales of 2,449,630 vehicles, a 2.0 percent decrease. FCA US (Chrysler, Dodge, Ram, Jeep, Fiat, Alfa Romeo) reported U.S. sales of 192,519, a 10 percent decrease compared with sales in December 2015. FCA US full-year sales of 2,244,315 were flat in 2016 compared with sales in 2015. American Honda reported a new December record of 160,477, a 6.4 percent gain leading to an all-time annual sales record of 1,637,942 for Honda and Acura vehicles for 2016, an increase of 3.2 percent to eclipse the previous best set in 2015. Honda Division sales also set a new annual record of 1,476,582 vehicles, a 4.8 percent rise while Acura total annual sales reached 161,360, down 8.9 percent for the 2016 year. Nissan Group announced total U.S. sales for December 2016 of 152,743, an increase of 9.7 percent for a December record. For calendar year 2016, Nissan set an all-time record with 1,564,423 total U.S. sales, an increase of 5.4 percent. Hyundai Motor America announced December sales of 60,572, down 1.9 percent but leading to its seventh consecutive year of record U.S. sales of 775,005, an increase of 1.7 percent. 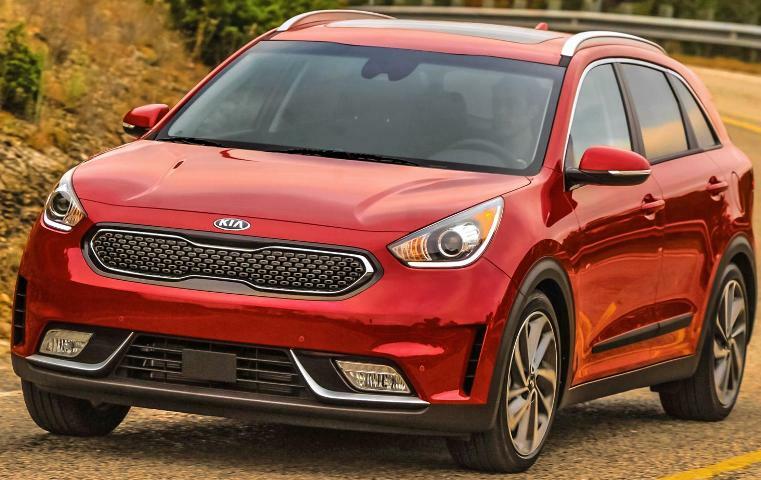 Kia Motors America announced its highest December total in company history of 54,353 for an all-time best annual sales of 647,598 vehicles in 2016, up 3.5 percent over 2015. Subaru of America reported December sales total of 63,177 vehicles for its best-ever sales month contributing to record-breaking sales of 615,132 vehicles for 2016, an increase of 5.6 percent for the eighth consecutive year of sales records and ninth consecutive year of sales increases. Volkswagen of America today reported sales of 37,229 in December, a 20.3 percent increase over December 2015. VW sales for 2016 totaled 322,948, a 7.6 percent decrease over 2015. Separately, Audi December 2016 sales increased of 23,195 vehicles, a 13.7 percent rise, and for a 2016 total of 210,213 vehicles, up 4 percent for the brand’s best annual performance. Mazda North American Operations reported December U.S. sales of 28,754 vehicles, a decrease of 1.8 percent versus December of last year. For calendar year 2016 total sales of 297,773 was down 6.7 percent. BMW brand vehicles totaled 32,835 in December. For the year, BMW brand sales of 313,174 is down 9.5 percent from last year. Mercedes-Benz USA reported December sales of 37,057 vehicles with Mercedes-Benz Vans reporting December sales of 3,860 and smart 1,186, bringing MBUSA's grand total to 37,057 vehicles for the month. On a year- to-date basis, Mercedes-Benz totaled 340,237, Vans 34,304 and smart 6,211 for an MBUSA grand total of 380,752, a 0.1 percent increase from the previous year. Jaguar Land Rover North America reported December sales of 12,573, a 30 percent increase over 2015, while Jaguar sales were 4,294, a 259 percent increase and Land Rover 8,279, a 2 percent decrease. Jaguar Land Rover North America December U.S. sales for both brands hit 12,573, a 30 percent increase. For the full year 2016, Jaguar Land Rover U.S. sales were 105,104, up 24 percent beating the previous sales record achieved in 2002. Mitsubishi Motors North America reported December 2016 sales of 7,383 for a 2016 total of 96,267, up 1.0 percent over 2015. Porsche Cars North America announced 4,015 vehicle sales in December bringing 2016 to 54,280 vehicles sold, a 4.9 percent increase over 2015 and a new PCNA sales record. Search for videos & archived stories in the search box at the top of the page or check the story headlines below.